Create SUPER after school snacks. Top your Fruit Kabobs with Aroniaberry Gummy Chews. The countdown is on for back to school. As summer starts winding down, keep these great tips in mind for a SUPER school year. Also, check out our links below to over 100 different back to school ideas. Make sure your children have the fuel they need to start the day right. Get up 15 minutes early to give you and your children time to sit down for a healthy breakfast that will keep all of you fueled up throughout the day. Make overnight oatmeal the night before topped with Superberries Frozen Aroniaberries mixed in. Our antixoidant-rich superfood has so many health benefits and will keep your hunger at bay until lunchtime. So you don’t have to make that late nite run to the office supply store. Stock up on posterboard, pencils, pens, markers, index cards, etc. Now is the time to buy these items with all the school supplies on sale. Make a file box with file folders for each class, extracurricular activities, clubs, camps and permission slips. This will allow your kids to unload past assignments and let you see what is due. Consider making a weekly assignment sheet so you can keep kids on task. Before school starts and before you go back to school shopping, purge worn-out and clothes that don’t fit. Find a donation center that sells and recycles old clothing. Also back to school time is a great time to purge old toys and update bedrooms for the upcoming school year. Get a plastic bin or shoe box for the fridge and cupboard to store all your school lunch items. Whipping up sandwiches will be a cinch by storing deli meats, lettuce, cheeses, and spreads in a special place in the fridge. Divvy up yogurts, fruits, fruit snacks and veggies for the week in zip lock bags. You can do the same with nonperishable items. Be creative with your afterschool snacks. Get small dixie cups to serve veggies and dips. 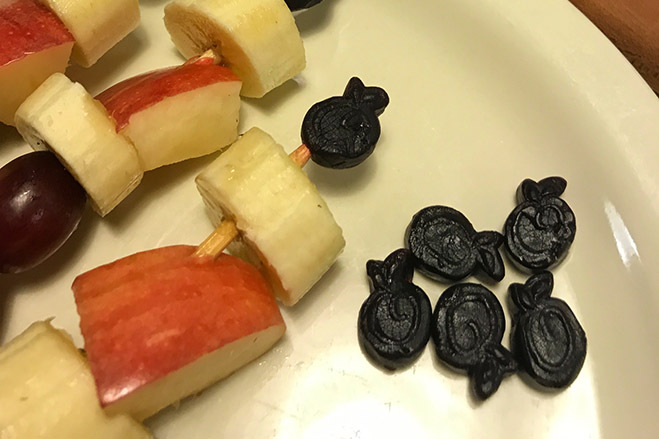 Use our Superberries Aroniaberry Gummy Chews to create fun snacks like fruit kabobs that deliver important antioxidants in every bite. Get more inspiration in the links below.